This coupon was last used 2d ago and is currently rated Likely to work. Ongoing deal, never expires. Last validated 1mo ago . Used 44 times. Kim As of 03/06/19, I tested this promo code and verified that it works as described. Exclusions apply. Dylanrodriguez This is an excellent offer. Just apply the promo code at checkout to get the discount. Some exclusions may apply. Nick Koch I'm re-activating this expired deal. It works as described, Simply enter the code NEWMIRACLE10 at the time of Checkout and enjoy the Discount. Alexander Rodriguez I am validating that this deal works as described. 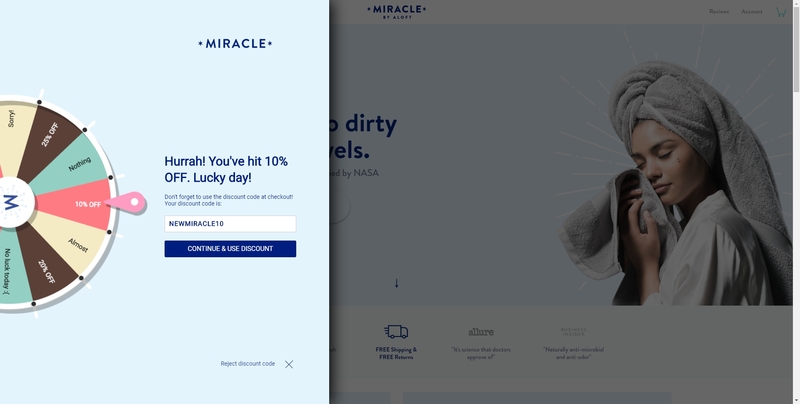 @couponaddict Tested this promo code for Miracle Brand and verified that it works as described. Just enter the code at check out to get 10% off.